Parish Clerks can claim to be among the pioneers of English Drama. They performed in the miracle and mystery plays and Stowe records that they assembled each summer outside the Priory of St John of Jerusalem. They performed before Richard II and his court in 1390 and before Henry IV in 1409. It is possible that these performances took place annually until the beginning of the sixteenth century. The tradition of performing in the mystery plays has recently been revived by the players of St Peter upon Cornhill and with members of the Company have performed three masques in the City of London Festival. These took place in St Mary le Bow in 1972 and 1979 and again in 1990. 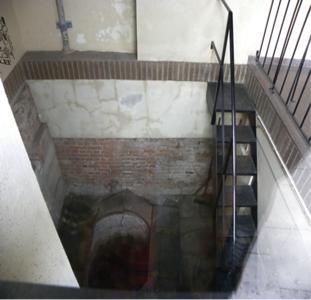 The Clerks' Well can be viewed in a chamber below ground level at 16 Farringdon Street.